The band’s 40th anniversary tour coincides with the release of a new album. 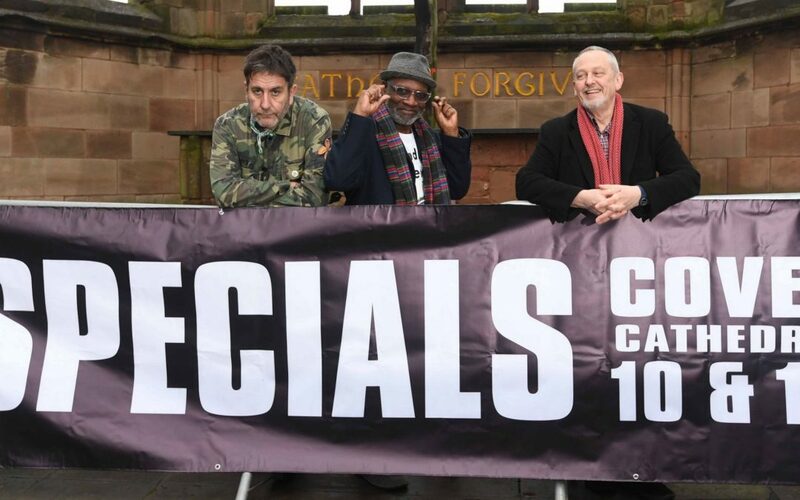 The Specials have today revealed where they will play in Coventry as part of their 40th anniversary tour. And the band will play not just one gig in their home town – but two. The Specials will also be playing a truly iconic location in the city – the ruins of Coventry Cathedral on two consecutive nights – July 10 and 11. A total of 3,000 tickets are on sale – 1,500 each night. The 40th anniversary tour coincides with the release of a new album by the band entitled Encore. Released this week it is The Specials’ first new music for 37 years. Initially it was feared the band were missing Coventry out on their 40th anniversary tour when 24 dates were announced in October last year. Even though subsequent tweets from band member Horace Panter suggested that was not going to be the case, the absence of a Coventry date sparked disappointment among some fans. That continued when the tour itinerary was extended to 31 dates but still no mention of a Coventry gig. Horace reassured fans on Twitter that a Coventry date would happen “fairly soon” – culminating in today’s long-awaited announcement. The 40th anniversary tour kicks-off in Cologne on March 29, before continuing in Belgium and Luxembourg. The band then travel to Ireland before the tour continues throughout the UK in April and May. A spokesman for the band said: “The Specials, one of the most electrifying, influential and important bands of all time, have added two home town gigs to their tour. “They will play on Wednesday 10 and Thursday 11 July in the iconic Coventry Cathedral ruins. “These shows are part of their 33-date European and UK tour and are in support of their brand new album, Encore. Tickets for the Coventry Cathedral ruins show cost £40 plus booking fee. Anyone wanting to attend must be over 14 and all under-18s must be accompanied by an adult. Tickets can be bought online by phone or in person. For telephone credit card bookings call 08444 77 1000. Tickets can also be bought in person at The Hub at Coventry University Students’ Union and Coventry Music Museum. The Specials were last in Coventry to play as a group on June 2, 2018, when they supported rock legends The Rolling Stones. Around 30,000 music fans were packed into the Ricoh Arena to watch The Specials open for the Stones. They tore up the stage with favourites like Rat Race, Message To You Rudy, and Too Much Too Young. They were also at the Ricoh Arena in 2009 for their 30th anniversary tour. Formed in the 1970s, The Specials remain one of Coventry’s greatest musical exports and one of the most celebrated UK bands of all time. Currently, The Specials consist of Lynval Golding, Horace Panter, Terry Hall, Tim Smart, Drew Stansall, Nikolaj Torp Larsen, Steve Cradock, Pablo Mandleson and Gary Powell.